Reasonably cheap MAC makeup can be bought from a few different sources of discounted makeup brands, like MAC studio makeup. Finding these items can be a steal for those who just want to look great everyday, and even better for the girl interested in attending makeup artist schools. Finding truly cheap MAC make up is every cosmetic savvy girl's dream. Touted by makeup artists and celebrities throughout Hollywood, MAC (Makeup Art Cosmetics) grew ever popular through word of mouth. It is probably best known for its high quality, high color MAC pigment collection, made up of 35 different shades of loose color powder for your eyes and face. Costing almost $20 per jar, MAC pigment is definitely a pricey, but well worth it, cosmetic to have around. Fortunately, there are deals to be had when it comes to this and other brands of high price makeup. Don't expect huge price cuts of more than 40% however. MAC is a high end company for a reason, and that is because they have excellent products. Not to worry though, with a little research and shopping around, you can easily save around 20% per item depending on where you find it. Some of the more basic and common MAC cosmetics can be bought at good deals reasonably often. 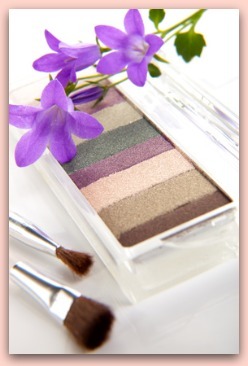 Discontinued makeup, rare colors and more prestigious products can be more difficult to buy at a discount. With hundreds of new MAC products being listed every day, a little searching is sure to bring up a good deal. Not only can you find rare items and items that are going to be discontinued, a lot of Ebay sellers have some great prices! 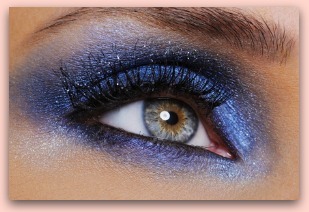 Some of MAC's popular eyeshadow pigment can be bought for as low as $7-8 for a single pot, which retails at $20. Often times you can save even more money if you buy “lots” of items, where a seller may be selling a group of items for a much cheaper price than individually purchasing them. Another of MAC's most popular items, Lipglass, can be found for between $6 and $10 plus shipping still new at some auctions. Compared to a retail price of $14.50, you can save quite a bit if you regularly use the high shine Lipglass product. No matter what your favorite eye, lip, or face product you use, checking online auctions regularly can yield some good results if you are willing to spend the time and wait for your items to ship. The Cosmetics Company Outlet is a store found in many outlet malls across the US. The store is owned by Estee Lauder, and carries products from Prescriptives, Bobbie Brown, MAC, Clinique, Origins, and of course, Estee Lauder. Their products are almost always discounted and can be found at prices cut by 10% to 30% on a regular basis. These prices won't save you a complete fortune, but they can turn a $20 high pigment, quality eye powder into a $16 beauty deal. Amazon certainly doesn't have the largest price cuts we've seen for cheap MAC makeup, but their selection is good and ratings stay pretty high on average. Most of the makeup found on Amazon is a few dollars cheaper than can be bought from the original retailer. Once you figure in shipping, it may be a little more expensive. However, if you are looking to buy multiple items under one shipping address, you can certainly save money.